Redstone | Surviving Minecraft, Minecraft Adventures! This mod allows you to place redstone wiring vertically up walls. In the default game you can only run redstone wiring upwards if you use a stepping pattern, basically running the redstone up a series of stairs. 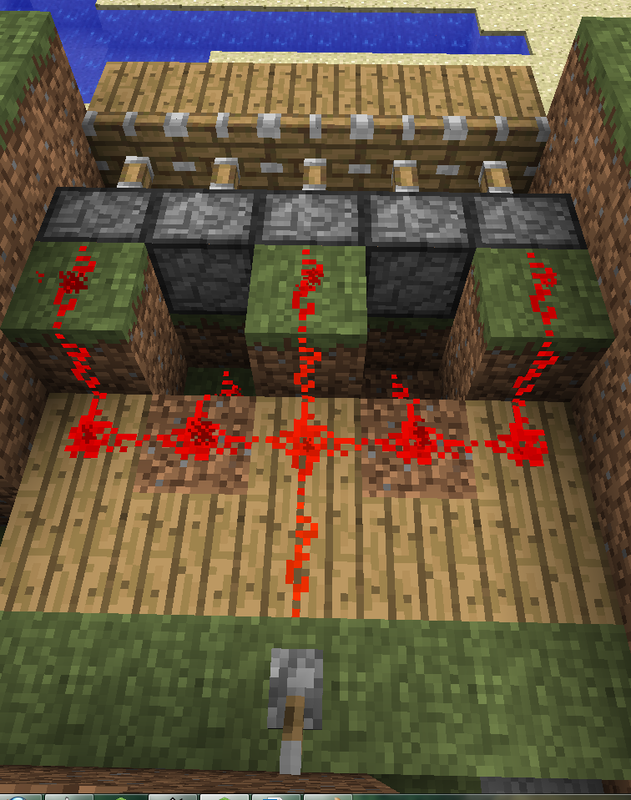 Or alternatively, you can send a redstone signal up and down in a straight column by using a series of redstone torches. Obviously this is wildly impractical for most purposes. Anyone who likes working with redstone is going to love this redstone mod! Click here to read more about this mod and download it! This entry was posted in Mods, Redstone on September 6, 2011 by Hope. Now you can fully automate fireplaces, turning them on and off with the flick of a switch. This tutorial video from Minecraft PG 5 (the same people who bought you Maori Beach Boat Race Track) shows you how. This entry was posted in How To, Minecraft Videos, Redstone on August 16, 2011 by Hope. This is by far one of the best redstone tutorials I’ve ever seen, demonstrating simple ways to make redstone work. If you’ve ever wondered how to hook two redstone switches up to a single circuit, or if you’ve been feeling intimidated by terms like XOR, NOR and NAND gates being thrown around, the five minutes that this tutorial takes to watch will change your life. Or at least help you make awesome redstone machines. This entry was posted in Minecraft Videos, Redstone on July 14, 2011 by Hope. Sticky pistons enable you to create blocks that slide in and out (and up and down.) With a little bit of redstone work that means you can create retractable bridges. One moment you’re walking across a safe as houses wooden bridge, the next moment a switch is flipped and the bridge is gone. This article will help you work out the redstone wiring gremlins so that you can create safe houses and nefarious traps on your own terms. This entry was posted in How To, Pistons, Redstone on July 2, 2011 by Hope. An incredibly impressive redstone creation consisting of hundreds of redstone circuits ultimately manifested in a ticker display. In respect to the slow disintegration of our attention spans, here’s a direct link to the point where the ticker actually works. 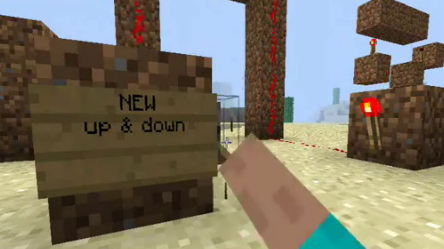 This entry was posted in Minecraft Videos, Redstone on May 15, 2011 by Hope. Wish you could be a redstone super engineer like that one guy who made a working computer in Minecraft? Dislike reading webpages with lots of dull words and diagrams on them? Feel that you learn better by playing Minecraft than by learning? Then TaviRider’s World of Redstone is a save file you simply must have. 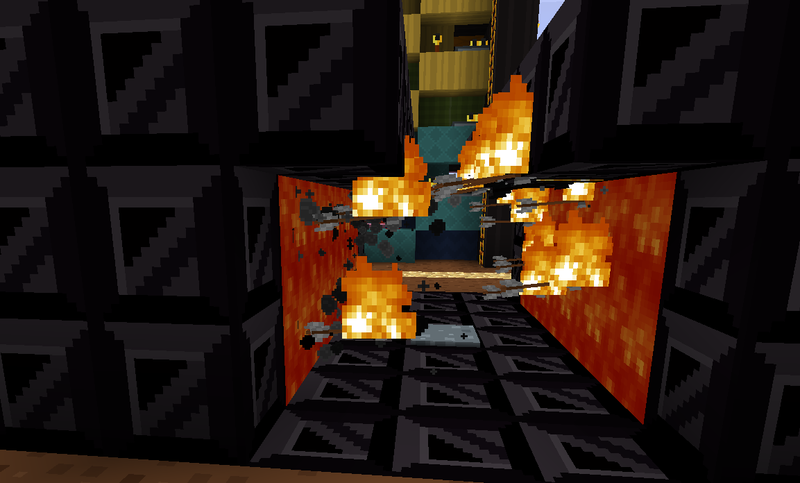 This entry was posted in How To, Redstone on April 16, 2011 by Hope.